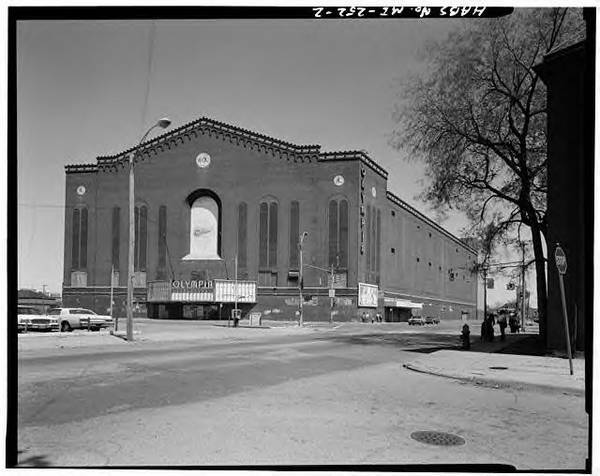 The long-time home to the Detroit Red Wings, Olympia Stadium was also the site of many great high school basketball games during the 1940s and 1950s. Most notably was the Miller-Detroit St. Joseph’s City Championship in 1947. An amazing 16,041 fans attended the game with over a thousand more getting turned away. Miller won, 47-34. Championship: Miller beat Detroit St. Joseph, 47-34 — This was the the first of what would, in later years, become known as the Operation Friendship Championship pitting the best of Detroit’s Public School League against the Catholic School League. Billed the City Championship, this game between neighboring schools drew so much interest it sold out venerable Olympia Stadium and in so doing established a state record for attendance at a high school basketball game. News accounts say upwards of 1,500 fans had to be turned away.